Let me start off by saying I’m a bit out of it today.. Being a good coworker, I purchased cookie dough to fund some child's band camp. Being an ambien eater, I ate half of this cookie dough last night around 1 am. Being near death this morning, I'd like someone to shoot me. I am my own worst enemy.. If I ever write a book that would be the title..
It’s my hope that you share my love of collard greens..
For a number of reasons.. I said that twice just in case you ain’t listening. On a list of things that make me feel like a kid again… #215 is the smell of tabasco sauce on hot collard greens. There is always this internal struggle when cooking southern classics. For this one in particular, I really wanted that bacon, that fat back, that pork something that should always be cooked in with your greens. Once I cooked these up with just a little olive oil and spices, the struggle continued..
Where is the potlikker left behind when stewing these collards to hell and back. You have to save that.. it’s a cure for just about everything that ails ya… and mama needs that cure. There was none of that..no collard broth or fat back..
What is wrong with this picture..? More so, what is wrong with me? I kept looking over my shoulder, hoping that my grandma didn’t see me cooking my collard greens this way.. In the end, (that means after 4 tries) they came out just right.. with the help of red pepper flakes and a little smoked paprika. 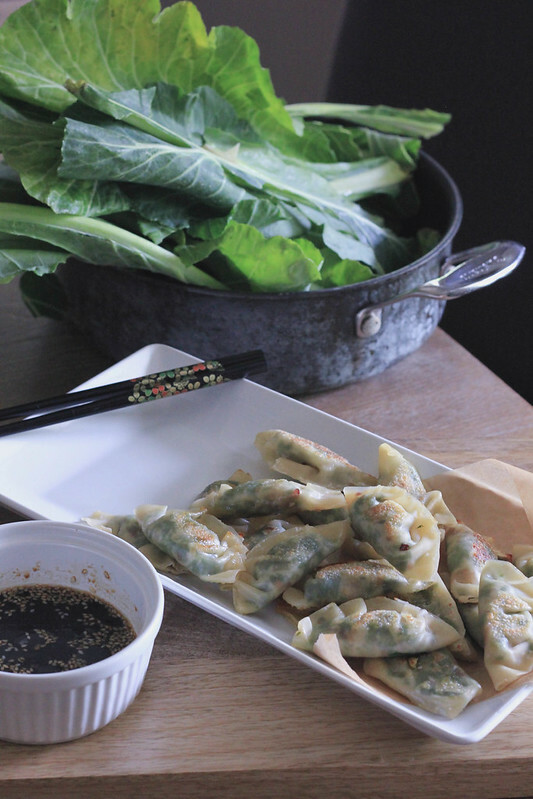 So I decided to take it a step further and stuff these hearty green goddess leaves into wonton squares and make them potstickers… and a little dipping sauce with a hint of molasses did these babies justice..
I’ll always be particular to that “mess o greens” I grew up on.. With chunks of onions, the smoky flavor of pork and that broth that you use a piece of cornbread to eat. 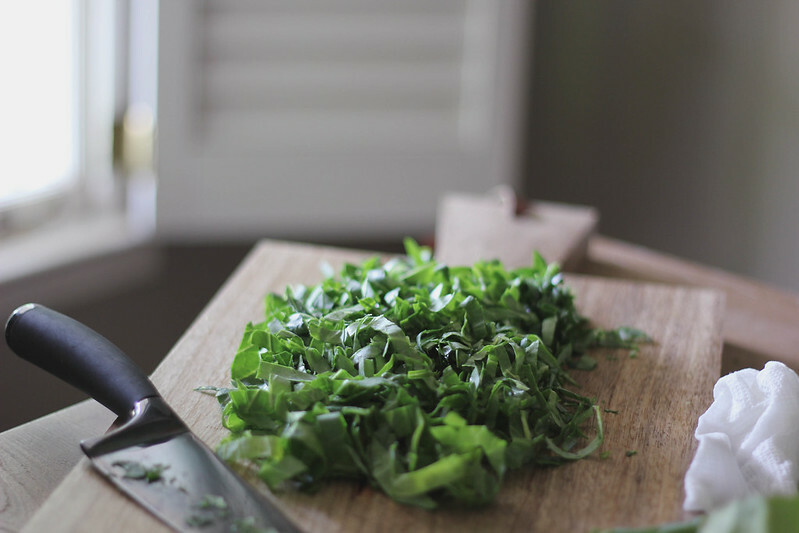 A little bit of Soul Food History: Potlikker (Pot Liquor) is the broth or "gravy" left after stewing a pot of collards. My grandmother would tell me stories of how these dishes originated by during times of slavery. Also how the nutrients in the pot help cure aliments that would otherwise go untreated. Growing up, I've seen this broth used to add flavor to cabbage, smoked turkey and even used as the base for Gumbo. One of my Southern Foodway heroes, John T. Edge, wrote his entire thesis on Potlikker (and Cornpone). "All food has history, the more you tell it, the more they'll know." In a large skillet, heat the olive oil over medium high heat stir in shallots and ginger cooking until shallots are translucent. About 2- 3 minutes. Add in collards, chives, red pepper flakes and paprika. Sauté mixture until heated thoroughly. About 5 minutes.. 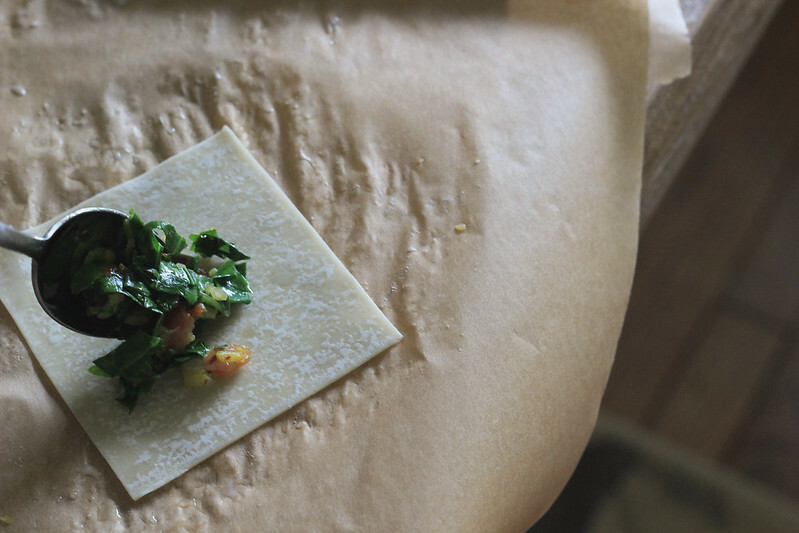 Allow mixture to cool before adding to wonton wrappers. 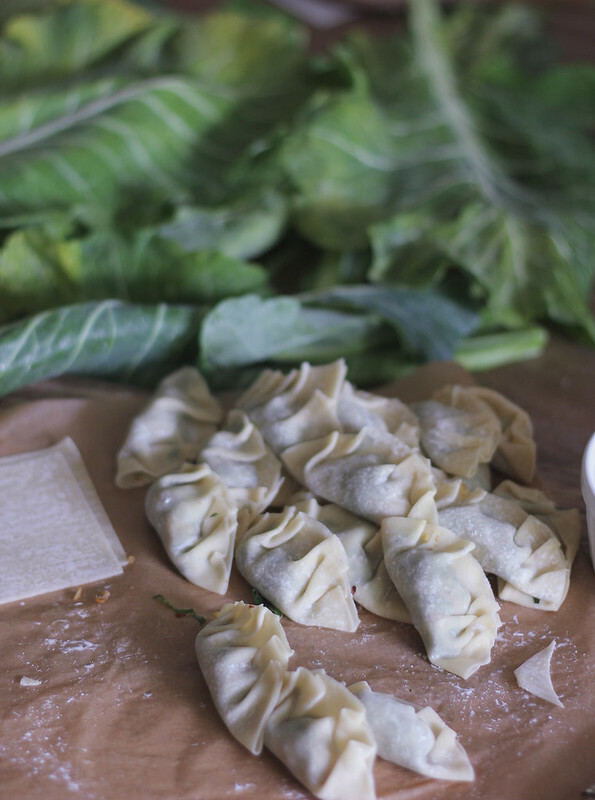 Add about 2-3 teaspoons of the filling to each wonton, brush the edge of wontons. 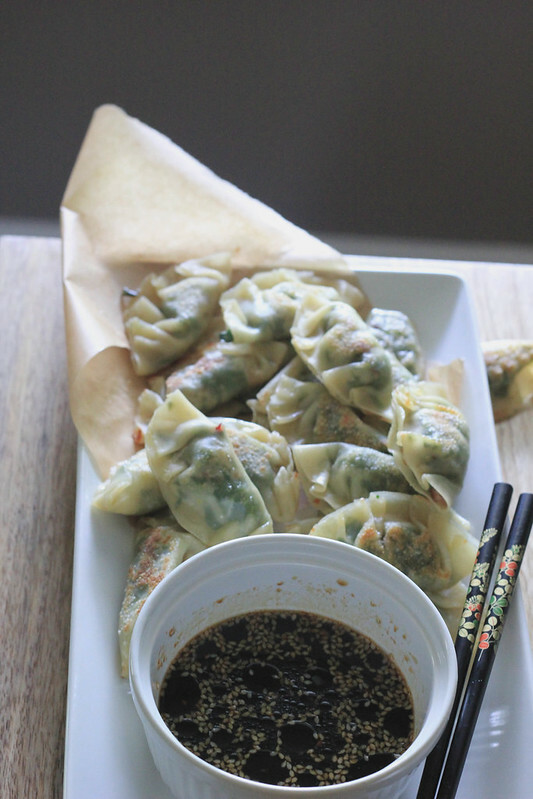 Fold wontons over to seal. Folding and gathering (more like pinching) the sides together. Heat about a tablespoon more of olive oil over medium heat in skillet. (can be the same one you used to make the filling ) fry in batches until each potstiker is golden on each side.. about 2 minutes for each side..